Poster featuring bible verse Matthew 6:34. 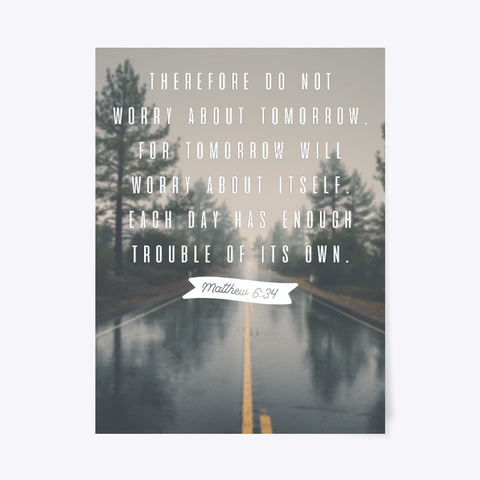 "Therefore do not worry about tomorrow, for tomorrow will worry about itself. Each day has enough trouble of its own."